This Fridgemaster Integrated under-counter fridge is a larder fridge that thanks to its clever features, makes your life easier. 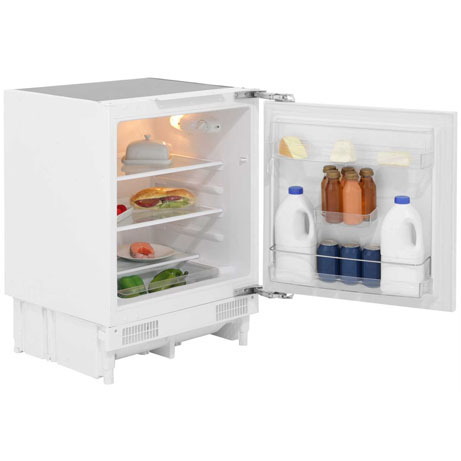 In a classic white finish with 2 shelves that’ll give you enough space to keep all your fresh groceries organised. 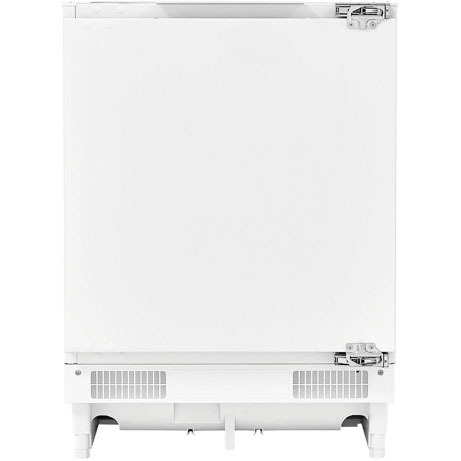 Boasting an intelligent auto defrost feature as standard, it means you won’t have to spend time scraping ice off the back wall. And it has an A+ energy rating, so it will be cheap to run. 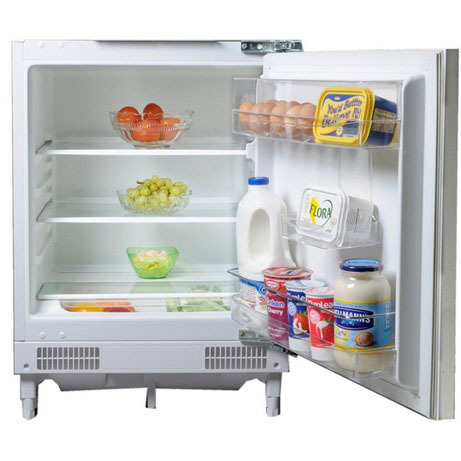 Featuring 3 handy door compartments, you have plenty of room inside this fridge to store your groceries. It’s ideal for cartons, condiments and jars, as they’re sturdy by design. Bottles of milk are accessed quickly and there’s less chance of spills as they’re kept upright. If you do have any leaks, they’re really easy to wipe away as the door compartments are made of smooth, clear plastic. 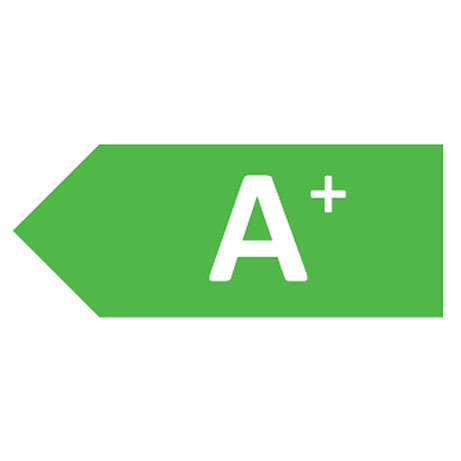 Energy ratings for fridges range from A+++ to D. The higher the rating, the more efficient your appliance will be. This model has an A+ rating which is good. It’ll use less energy than lower rated models – which is both great for the environment and your electricity bill. Ideal if you want to create a more streamlined kitchen, or you already have built-in appliances, this model has been designed to fit perfectly underneath kitchen worktops. It’s a more compact size, so it tucks away neatly under counters for your convenience. Our engineer will ensure the perfect fit every time. You get maximum flexibility with this model, as the door can be placed on either side. Depending on whether you want your model to open from the left or right hand side, it will accommodate to any preference and kitchen, our engineer will do this if needed, so no stress to you.